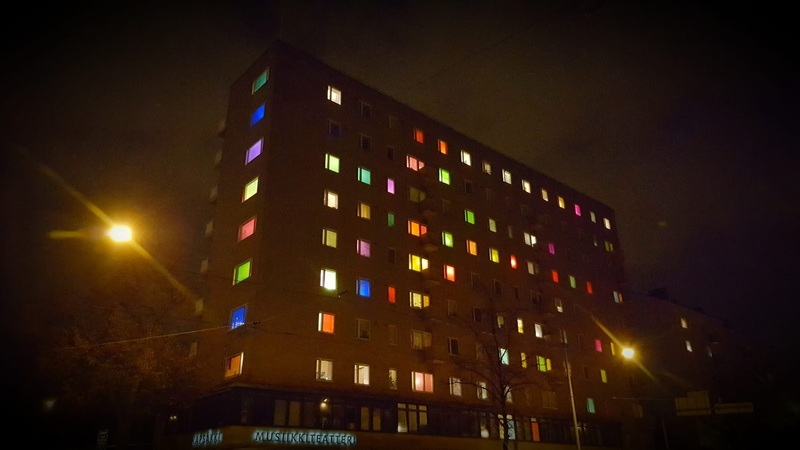 My friend and artist Aiju Salminen turned her whole building into a light installation yesterday! The big house is in the corner of two of the busiest streets in Helsinki (I used to live just opposite, when I was still living downtown btw) so it got a lot of attention. The habitants were all in on the thing and put up coloured silk papers in their window to brigthen up the November darkness. The idea is not original, but has not been done in Helsinki before. Picture from V�rivalotalo on Facebook.